How to Prevent Loss of Control Crashes, With a Pop Quiz! This is the third installment in our critical crash prevention series. We have already covered how to prevent run-under crashes and rear-end crashes, and all are determined to be “critical” because they typically cause significant injuries or fatalities to the people involved. Loss of Control crashes can occur for a multitude of reasons. Many of the common situations that cause a driver to lose control of their truck include jackknife accidents, run-off-the road incidents and rear end collisions. Besides the results of serious injuries, fatalities, and extensive property damage, involvement in a loss of control crash an also have a long-lasting effect on a drive’s safety record. There are a few common causes of loss of control crashes. Let’s review them all and some preventative measures that safety experts recommend. This is an extremely important area to pay attention to during these winter months, when adverse weather conditions are in place across much of the nation. The risk of losing control increases when traveling on wet, icy, or snow-covered roads. During these conditions, sped reduction is critical. Reducing your speed increase your ability to stop or perform emergency maneuvers safely. Slowing down also increases your ability to see other vehicles and obstacles in enough time to react safely, when fog, smoke, rain or snow reduces your visibility. Under severe adverse weather conditions, it may be best to find a safe place to park and wait until conditions improve. Crashes frequently occur on freeway entrance and exits ramps and curves. The underlying cause of losing control in these areas is that a driver was traveling too fast to safely negotiate the curve. Remember, posted advisory speed limit signs for curves are intended for passenger vehicles that are traveling under ideal conditions. Drivers or large trucks must slow down even more. Particular attention should be given to weather conditions, road design, type of cargo being carried, and the vehicles center of gravity. Slowing down to a safe speed before entering a curve is crucial to crash prevention. This cause is present in any crash situation, critical or otherwise, with the NTSB estimated it to be a factor in about 30-40% of all truck-related fatality accidents. Rest is essential for alertness while driving. While driving, common distractions faced by drivers today include texting, talking on cell phones, eating, drinking, and day dreaming. Avoiding these distracting activities until you are safely parked is the best way to prevent crashes due to this cause. Many loss of control accidents are due to falling or shifting cargo. 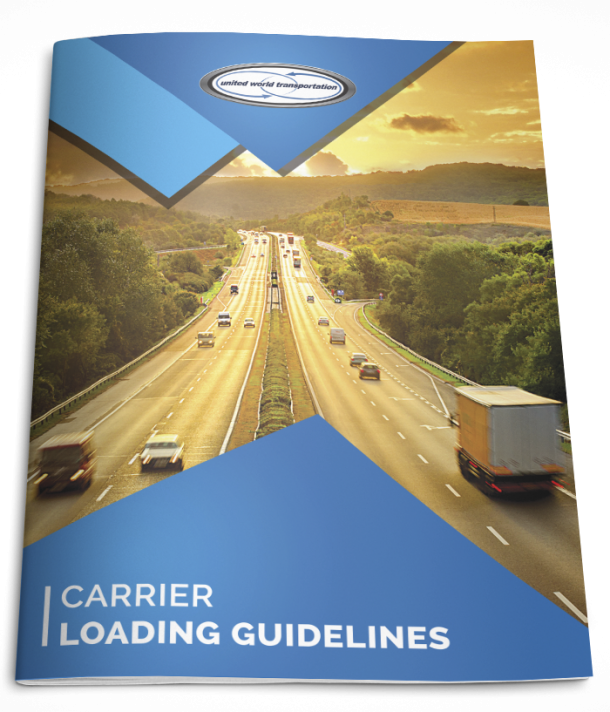 It is the driver’s responsibility to ensure cargo is properly loaded and secured to ensure balance and stability during transit. And when you are not allowed access to the dock for loading, it is critical to write shipper load and count on your BOL. It is key for drivers to make sure they have the necessary materials to secure the load, and stop often to check your cargo. Defective brakes or brakes that are not adjusted properly can contribute to accidents by reducing the driver’s ability to slow down or stop. Brakes and air lines should be inspected daily to ensure proper adjustment and adequate air pressure. Brakes that are in optimal working condition and adjusted to apply equal pressure to all wheels help maximize braking ability, reduce stopping distance, and promote better vehicle control. Tires should be inspected before and during each trip. Make sure you are familiar with the proper procedure for maintaining or regaining control of a vehicle after a tire blowout. In many cases, there is something that a driver could have done to avoid losing control of his or her vehicle. Adverse weather conditions, heavy traffic, inattentiveness, and fatigue are all common factors that drivers must deal with daily. Being educated and prepared are key ways to ensure prevention and increase safety for you, your truck, and other drivers on the road. Test your knowledge with these five questions to see how familiar you are with loss of control crashes (answers provided at the bottom of post). The best way to negotiate a curve is to slow down after you have entered the curve. Brake air lines need to be inspected daily to ensure adequate brake air pressure. In severe adverse weather conditions such as a heavy blizzard, it is may be best to find a safe parking place and wait until conditions improve. Fatigue is estimated to be a factor in 30-40% of truck related fatal crashes. It is acceptable to inspect tires after each trip in order to check for the likelihood of tire failure.